Ping is still dead, but Apple Music is becoming more social, and more flexible so it can work with all your other devices or apps. This slew of new features will roll out with iOS 11 this September. Today at WWDC Apple announced that Apple Music now has 27 million paid subscribers compared to Spotify’s 50 million. This shows its pre-installation plus free trial strategy is helping Apple Music catch up to Spotify with its free ad-supported tier. 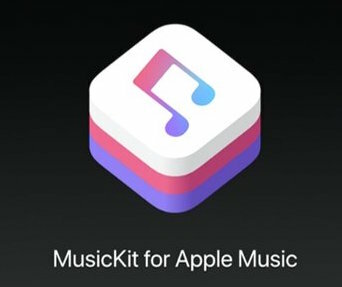 Developers will now be able to use the new MusicKit API to use your Apple Music subscription to play full songs in their apps. Developers can access your Cloud Library, pull your For You recommendations for music personalization, surface Featured music and charts to bubble up what’s most popular and search through playlists, stations and categories. MusicKit will power Nike+ Run integrations with your playlists, the ability to instantly add songs to your library that you identify with Shazam and let you DJ with all of Apple Music’s 40 million songs via the podcasting app Anchor. MusicKit gives Apple Music a competing developer platform to Spotify’s range of APIs and SDKs that similarly let paid subscribers bring their music collection and all of Spotify’s songs to other apps. 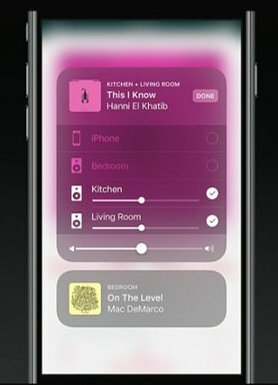 The new AirPlay 2 bakes multi-room audio speaker control directly into iOS via HomeKit so you can easily play songs in specific parts of your house with Apple Music. The new watchOS 4 also comes with some Apple Music improvements, including a better interface, multiple playlist syncing and a simpler AirPods experience. Apple Music user profiles are becoming more social. If you connect with a friend via Apple Music, you’ll be able to see what they’re listening to most or hearing right now so you can tune in to the same jams. For privacy, you’ll be able to choose whether your listening activity is public or private. Again, this replicates the social listening features Spotify debuted with Facebook back in 2011. Friends will also be able to add music to your Up Next queue, which is like a lightweight version of Spotify’s collaborative playlists. Apple appears to be taking Spotify’s platform and social playbook and making these features accessible in the layman’s streaming music app. While Spotify focuses its own algorithmic music discovery playlists like Discover Weekly, Apple is trying to convert former MP3 buyers into a new generation of streamers by focusing on simplicity and adaptability.